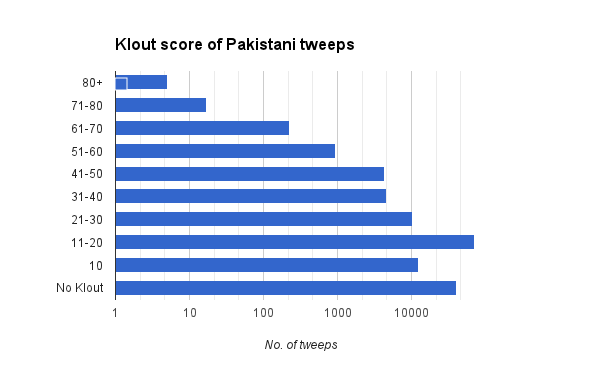 Top 100 twitter accounts of Pakistan based on their klout score. As a typical software industry person, usually most of my searches land on stackoverflow. Besides software related quries, I sometimes, land on other stackexchange websites like bicycles, serverfault, superuser etc. Based on above mentioned points, I totally rejected the idea that stackexchange is serving these ads. My initial thought was that it is some kind of a malware installed into my browser and this malware is injecting ads into my normal browsing. It was very alarming for me as I am very careful about what gets installed on my machine and what is the source of the software. I thoroughly checked my system for possible trace of a malware. I checked installed applications, registry, startup items, running processes and every other possible thing. Finally I run the firefox without any plugin or extension but the ads were still being served. Really annoyed by the situation, I pressed Ctrl+F5 and the ad stopped appearing. No more popups. This was possibly because of poisoned cache. Although I had solved the problem but this is now even more worrying. I am no longer getting the ads but someone managed to poison my browser cache and I have lost the clue. I never connected my system to any public wifi. I use it only at home, in office and connect it via 3G a few times. So, possible culprit was one of these three ISPs. I almost forgot about the incident until yesterday. Yesterday, I was looking at a bicycle related question on bicycles.stackexchange.com on my iPhone. Naturally, I tapped on the screen. The poor Safari browser had several redirects and opened a popup. This time I was on 3G, Ufone 3G. This was exactly same behaviour. I immediately opened my laptop. Booted into Linux. Connected to Ufone 3G via hotspot connection. Opened a random stackoverflow question in Firefox Private browsing mode (no cache) and the popup ad is there. Connect to home internet and try the same steps. No popup. So, it is clear. Ufone is injecting popup ads code into stackoverflow website. So someone is using Microsoft IIS to serve analytics.js. Obviously, Google does not serve its content from Microsoft IIS. Honestly, I am not sure. It can be an employee of Ufone, it can be a malware infecting their servers or it can be multiple people in their management getting $$$s for clicks. In any case this is dishonesty and ethically wrong at their end. If they can hijack your browsing sessions, they can do anything they want. I try to keep most of the my browsing on https but still there are a few websites on http. I also use Ghostery for firefox, I have blocked analytics.js and many other tracking from loading. Tunneling through Ufone 3G seems to be a good solution at this time. This is not something new. Many people have already written about it but no official response from Ufone yet and no action taken by PTA. Now I am getting this randomly. 3 out of 10 times. Yet another reason for publishers to provide content over https. The problem is still there. I registered a complaint with PTA with proofs. The result is that now Ufone knows how to bypass them. Now the injection is done randomly and it is hard to reproduce. It is now proven that this is not some misconfiguration or some virus in their servers. Ufone is doing this intentionally. And yes, I am not going to share the proofs here this time. If You’re Not Paying For It, You Become The Product. 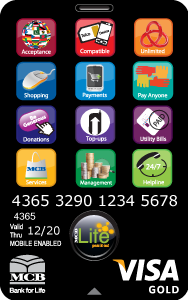 What’s wrong with MCB Lite card design? Note: I am not a UI/UX expert. I am just sharing my feelings about this design as a consumer and my little bit experience with design. 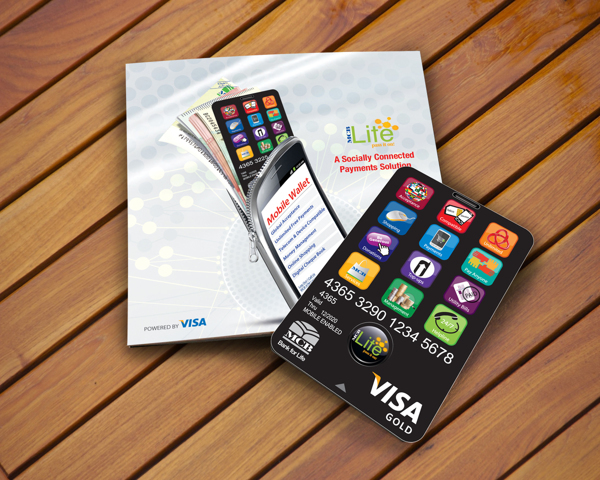 MCB Bank (One of Pakistan’s largest banks) recently introduced its branchless banking product “MCB Lite”. Somehow, as a consumer, I am not satisfied with the design of the card and I am going to share my thoughts about the card design. The designer tried to give a feel of a smart phone to the card but somehow missed some very basic design principles. Smart phones, especially iPhone, have set very high standards of design and if someone is trying to design something which looks like a smart phone, they’d have to be extra careful. I don’t want to sound harsh but it looks like the card was designed by someone new to design. Printing quality is even worse. Spacing between icons is not consistent. Text label should NOT be within the icon. Rather there should be no text in app icons. None of the icons is designed properly, each and every icon looks like resized clip art downloaded from google images. Even positioning of this clip art within the icon is not balanced. Text label is not properly center aligned within the icon. Text label is not equidistant from edges in all icons. Clipart in Pay Anyone icon (6th icon) is stretched horizontally. Poor choice of colors for icons. Foreground to background contrast ratio in Services (10th icon) and Helpline (12th icon). Font size and thickness makes it difficult to read. MCB, I am disappointed by the quality of design (and printing) from a bank like you. Many referenced me and many presented it without mentioning the reference pretending it as their own news. So, as you can see that each and every news site and blog was after the news and everyone was publishing it in his own words. What went wrong here? 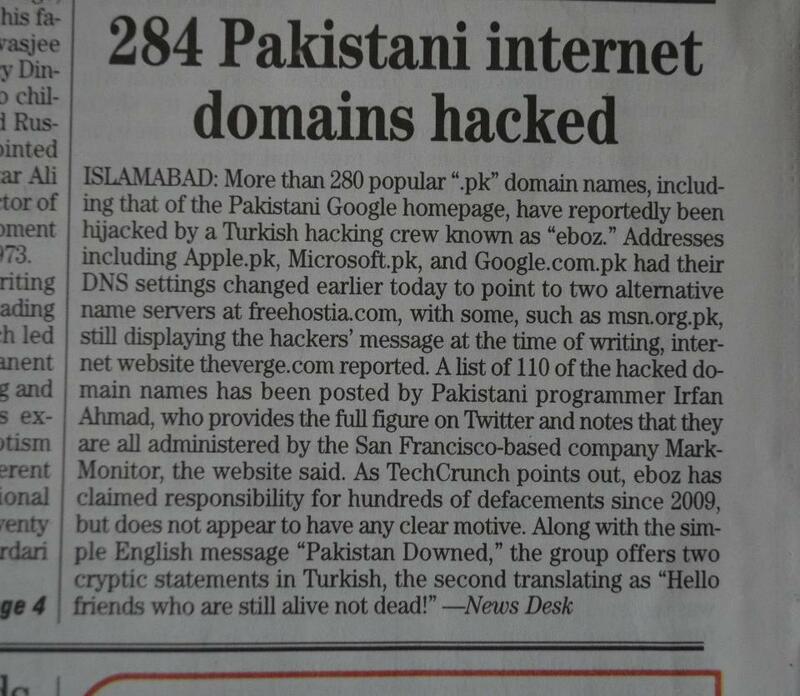 Did anyone ask any of these blogs or news site for a list of 284 domains hacked? Did they publish such a list? I tweeted and went for my breakfast. After having the breakfast I decided to publish the list of these hacked domains. As I started reviewing the hacked domains list, I noticed that I made a big mistake while counting hacked domains. There were 2 name servers pointing to that specific free hosting provider and I counted all the domains pointing to any of those 2 name servers. So actually, there were just 142 domains each one counted twice. Now I was extra careful before publishing anything. I checked the name server change history of all of those domains and noticed that only 110 were changed in last 24 hours. What about rest of the 32 domains pointing to that specific name server? All of them were showing real websites hosted by that free hosting provider and they were not hacked. I verified twice and published the list here. My blog was getting a huge traffic spike at that time. A lot of news sites and blogs picked up the list immediately and updated their news articles. This is how the online news world works. They pick up the news items from whatever source they can get it and publish it immediately without verifying anything. At last I have managed to get Google Page Speed Score of 99 and YSlow score of 97 for this blog. As mentioned earlier, this blog is generated using Pelican and deployed on heroku Cedar Stack which supports Python applications. It is served from great wsgi app called ‘static‘, gunicorn and gevent. I had to make a lot of changes in static to make it possible. As we are serving static content, there is no need to compress the content with each and every request. We can have gzipped content generated along with the other static content and serve it when requested. This approach, in my opinion, is faster than on-the-fly gzip compression used by nginx and apache. We can save CPU time used to compress the content with each request. I used gzip_cache plugin to generate the gzipped version of all my content. Next step was to serve this static content when requested. Static does not support this by default. I had to modify it a little bit. It tries to find the gzipped copy of the content, if gzipped content request is received. This is purely handled by the HTTP Server serving the content. Again I had to make a few changes in static to enable caching. I tried to keep the syntax similar to Apache’s ExpiresByType. Expire time can be specified in seconds against each mime type. Again this is purely handled by the HTTP Server and I had to make a few changes in static to make it possible. Just like Expires headers, I tried to keep the syntax similar to apache’s AddCharset. Charset can be set for filename patterns. Using assets plugin to combine and minify resources which further uses web assets. This is done offline, so no minification & combining overhead here. Lossless compression of images was done using jpegtran and optipng. This task was automated by writing a pelican plugin. Again, done offline, so no CPU needed to serve optimized images. This blog template was designed using twitter bootstrap and lots of custom css. Even after combining and minification, the size was 130KB. I used mincss to find unused css and remove it. Now the CSS is just 14KB (4KB gzipped). I had to re-add some styles which were used on other pages. Once again, done offline and at design time only. This task is in my todo and I am still looking for a good (preferably free) CDN. This blog post is continuation of Part-I. The sample data is increased to 150K Pakistani tweeps now. Follower count is no longer a good influence measure. On average each Pakistani tweep gets followed by 129 users. 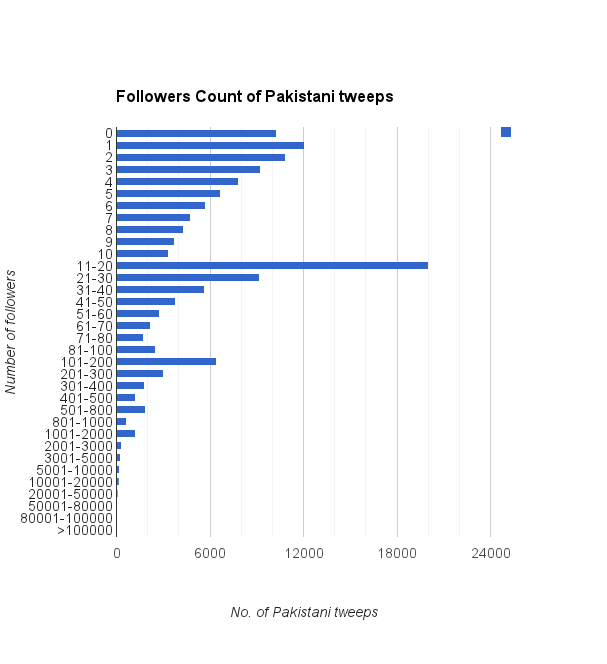 Majority of Pakistanis (about 3/4th) have less than 50 followers. Half of Pakistani twitter users have less than 10 followers. There are about 10,000 tweeps with no follower and about 12,000 tweeps with single follower. This is a very strange trend. If you look deeply into these accounts, you’ll notice that most of them are with default DP and default background. It seems like these are fake accounts, created by social media cells of different political parties to increase follower count of their leaders on twitter. On the other side, there are just 24 Pakistani’s with more than 50,000 followers. Most of them are politicians and TV anchors. Just 2331 tweeps have more than 1000 followers. Klout is more reliable social media influence measure. Out of 150,000 Pakistani tweeps about 40,000 do not have any klout score. About 70,000 have their klout between 11-20. Average klout score is 16.72. About 12,000 have the minimum possible score 10. Only 22 users have scored above 70 score. Note: This score may have changed when you’re reading this article.